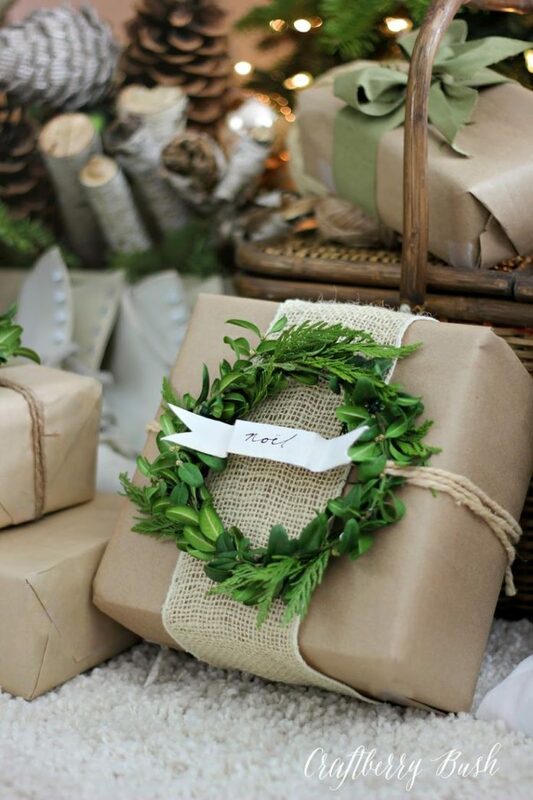 Package wrapped in kraft paper and burlap with a boxwood wreath gift tag….beautiful and neutral wrapping! Love the wreath! Previous articleDIY Crafts : Repurposed Window Shutter Projects • Tutorials and ideas!